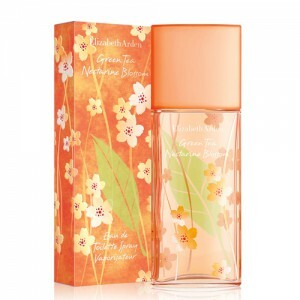 Elizabeth Arden Green Tea Nectarine Blossom is a refreshing perfume. 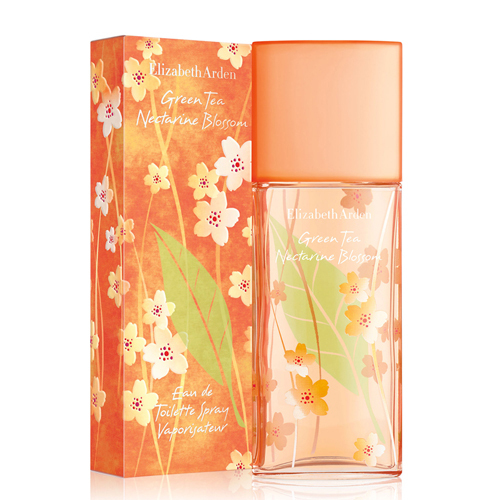 Elizabeth Arden Green Tea Nectarine Blossom 100ml. EDP is a floral-fruity scent that was launched on the market in 2016. The sweet summer aroma comes from the original Elizabeth Arden Green Tea and enriches the golden tones of peach, lush bergamot and exotic fruit. Green Tea Nectarine Blossom is an inherent green tea, narcissistic nectarine flower and juicy nectarine fruit. All fragrant compositions stand on a sensual basis of musk with aphrodisiac effects. Elizabeth Arden Green Tea The Nectarine Blossom is full of flirtatious fruit tones, reminiscent of sunny summer days. After the scent of scent, you will feel like you have found yourself in a blooming exotic garden. With Green Tea Nectarine Blossom Eau De Toilette Spray, you will experience a carefree summer day with hot flirting and fun! Green Tea Nectarine Blossom is a new fragrance in the Green Tea collection from Elizabeth Arden , which is the smell of summer, with the characteristic irresistible and inviting chord mandarin peel. The composition was created as a fragrant reminder of endless joyful summer days, filled with sunlight caressing the skin, and a happy laugh. Soothing notes of tea are typical for all the flavors of the Green Tea collection. In this edition they are mixed with fruit notes, responding to the composition for a joyful, juicy and flirting character. The glass bottle, characteristic for the whole collection, is this time painted in a soft orange color and decorated with a picture of flowers of nectarine and green tea leaves. The starting chord consists of notes of peach skin and the aroma of exotic fruits; freshness of this combination adds notes of bergamot, emphasizing the purity of the aroma of green tea. A womanly bouquet of nectarine flowers in the heart of the fragrance is surrounded by juicy shades of the smell of the flesh of nectarine.